Instructor Steve Nicolini led Wilderness Certification Program students through the next step on their journey through learning primitive fire-making methods. Class was started by demonstrating the amazing wet-wood fire. This entails pouring a bucket of water on the firewood before it is lit! Here Alderleaf intern Gordon shows students how to light a fire after five gallons of water have been poured on the wood! Notice all the water running down the stones that surround the fire pit. 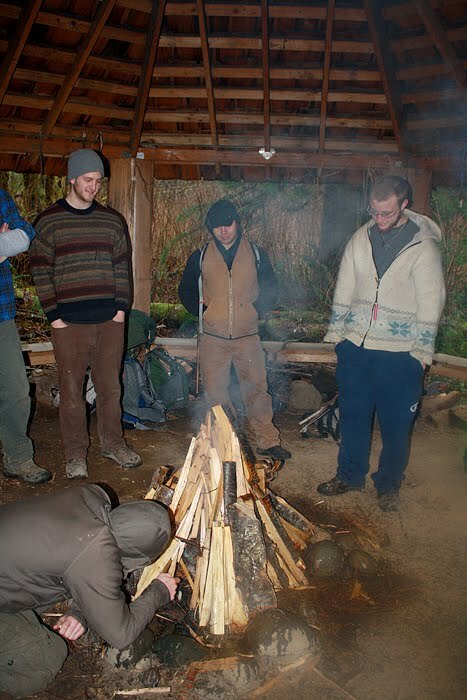 This method is an excellent skill to have mastered if you plan to start a fire during one of the down pours that can occur during winter in the temperate rainforests of the Pacific Northwest. The key is in the structure and materials used. Students also got to refine their skills of bow-drill and got a chance to work on the hand drill fire making method. This method takes patience and perseverance at first, but was and is still used by indigenous people in many different parts of the world. Check in on our blog again soon! 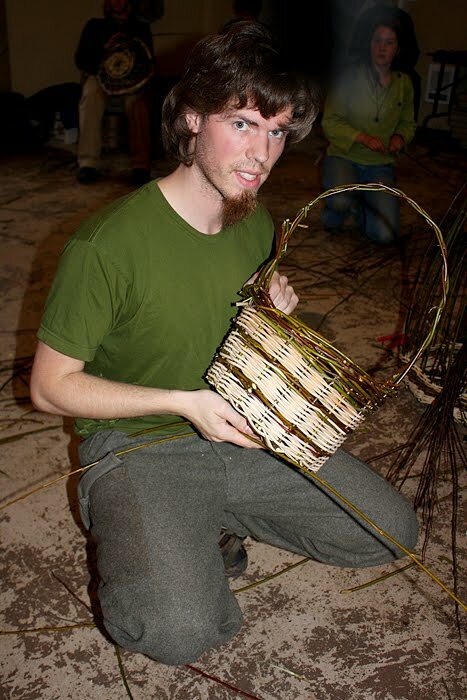 The Alderleaf Wilderness Certification Program spent 2 days working on learning the art of making functional willow baskets. 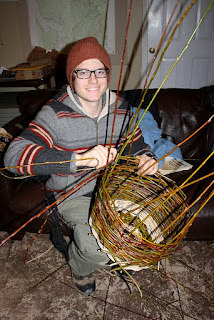 Before the winter trip, students also used willow to make primitive snowshoes. Student, Ben, demonstrates how the process works. With a little patience and some elbow grease, students end up with a practical container made completely of natural materials. Here another Alderleaf Wilderness Certification Program student, Carlsen, shows us his completed willow basket. He even included a handle! Through doing this activity, some students like Carlsen realize they have real knack for making baskets. Now with completed baskets, students can go out and collect mushrooms, berries and other wild edibles!